By purchasing products from Global Medi-Vet’s online ordering system (the Service) you acknowledge that you have read and agree to the following terms and conditions. 1. Products displayed on the Global Medi-Vet Online Order shopping area can be purchased using a secure online facility via Mastercard or Visa or via purchase order by prior arrangement (as an approved account holder). Processing of your credit card is handled manually, externally to the website. 2. All goods provided by Global Medi-Vet to the customer shall be paid for by credit card or within the trading terms of thirty (30) days from the date invoice if the customer is an approved account holder with Global Medi-Vet. 3. All goods remain property of the Company until paid by the customer. 4. You will be asked to register as a member of globalmedivet.com.au. Your shopping address details will be filed saving you the effort of entering these details each time you checkout. 5. 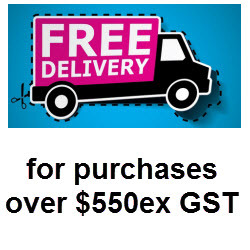 All prices are in Australian dollars (AU$) and exclude GST. All prices are correct at time of publication, however we reserve the right to alter prices for any reason. If this should happen after you have ordered a product, we will contact you prior to processing your order. 6. Delivery and freight charges are to be paid by the customer. The customer understands that due to the size and weight variations of the products purchased, that the shipping cost will be added to the order total after the order has been processed. 7. For non-account holders, credit card details will be collected at the end of the online order process. The shipping cost will be calculated and the customer contacted with the final order total before charging the credit card. 8. Orders are processed and shipped within 24 hours of the order being received. 10. We offer a full refund on products purchased and returned to us. Any product that is found to be faulty or is not within the purchases requirements will be replaced . Goods must be returned within 7 days in original packaging conditions at purchase. The freight cost to return items back to paid by the customer. 11. The customer is responsible for all shipping costs. 12. The globalmedivet.com.au online order system is protected by a secure connection to the server. This creates an encrypted exchange of information between the Global Medi-Vet website and the internet browser you are using. Encryption is provided through a document the website provides called a certificate. When we transmit sensitive information (such as a credit card numbers) over the internet, we protect it through the use of encryption, such as the Secure Socket Layer (SSL) protocol. 13. You understand that using the internet for online purchases will always carry an element of risk and will not hold Global Medi-Vet responsible for any damages allegedly sustained arising out of your access of www.globalmedivet.com.au. 14. Processing of your credit card is handled manually, externally to the website. Your credit card number is not stored in its entirety on our web server. 15. This Service provides general information about Gobal Medi-Vet and the products they offer. Global Medi-Vet reserves the right to change, delete or move any of the material on the Service at any time without notice. 16. Global Medi-Vet shall not be liable to you or any third parties for any direct, indirect, special, consequential or punitive damages allegedly sustained arising out of your access to or inability to access the Service. This includes viruses alleged to have been obtained from the Service, your use of or reliance on the Service or any of the information or materials available on the Service, regardless of the type of claim or the nature of the cause of action.